The Paris Air Show has mesmerised aviation lovers for over a century. It is the world’s best-known, most prestigious and largest air and space event. Expat Club went to this bi-annual mega event for the first time in 2013, the second time in 2015, the third time in 2017, and we’ll be there for the fourth time also in 2019. We can say with confidence that this show is incredibly spectacular (see pictures here). The last edition brought together well over 2200 exhibitors, 150 (very) special aircraft and more than 320.000 visitors. You can see many plane and engine models, airplane parts, the latest business class seats (or first class if that’s your preferred travel class), and many other suppliers. And outside you can see all those planes from nearby or even from inside! During the afternoon many planes are taking part in the actual show, and you can watch it from the comfort of your Grand Stand seat. This is not just any event, it’s the Paris Air Show! Expat Club loves welcoming the youngest expats, especially for this fantastic air show! If you want to bring your child(ren) up until 18 years, please first add the regular adult ticket(s) to the cart and then go to the cart page. On the cart page, there is a child ticket available for €60 (including Grand Stand ticket). Why do we leave so early? This is our 4th trip to the bi-annual Paris Air Show. Our experience teaches us that it is essential to come as early as possible. Not only is there much to see (there are over 2250 exhibitors alone, 150 aircraft on display outside, and also the Bourget Air & Space Museum), but traffic is increasing rapidly between 10h30 and 12h00 when many visitors arrive. Arriving 10 minutes earlier may actually mean arriving 30 minutes earlier on the spot. So just put on a double alarm, jump out of bed and get yourself to one of the departure points. You can sleep more on the bus! As with all Expat Club trips, our program is carefully designed to allow you to fully enjoy the air show. For this program our early departure time and return departure times are planned for specific reasons. Trust us on this one! We have to leave early and stay a bit after the ending of the show. Getting stuck in traffic (big time!) is the main reason. This way we avoid wasting much time in jams, instead of just driving without problems. We travel by 4* luxury coach with on-board toilet, DVD system and several flat screens, air conditioning and reclining comfort seats with footrests. During the trip we keep the noise down, so you can sleep a bit more. The return departure time will be 9 hours after arrival, so around 20h00. This way we will have enough time to visit the entire show until closing at 18h00, have a drink and some dinner, and allow traffic conditions to improve. There will be tens of thousands of cars, so the roads must clear up first. We will return to Brussels around 23h15. The 53rd edition is held again at Le Bourget Airport, just outside of Paris. Record deals are closed here and it is the traditional place for airlines to announce their purchases of (often) dozens of aircraft worth billions of euros. Several enormous exhibition halls are filled with stands from all types of companies and organisations in this industry. Some of them are remarkably large and beautiful with entire engines and fuselages on display to show the future of air- and space travel. It’s just fascinating to walk around here! 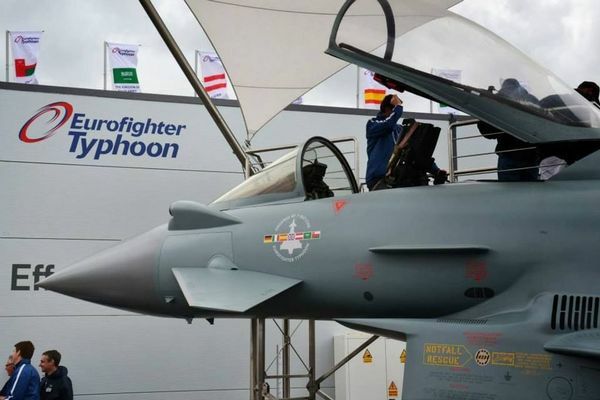 The “Salon de Bourget” is held from Monday until Sunday, but the first four days are only for representatives from the aviation industry and official delegations. Also this year far over 2000 exhibitors come to Paris, among them the largest aircraft and helicopter manufacturers such as Boeing, Airbus, Ambraer, Bombardier, Sikorsky, as well producers of smaller machines such as Cessna, Gulfstream and Hawker. Other parties present are airline companies, suppliers, airports, and a range of other supplier and service companies, as well as many air- and space organisations. The exhibition halls are definitely worth visiting, but the aircraft on display outside and the flight demonstrations are what we are really going for. At this moment the program is not yet published, but it doesn’t even matter because you can expect nothing but the very best! The newest, fastest, oldest, largest and most unique aircraft are flown in from around the globe. It is beyond imagination. The F-35 is likely to be on the program. Several aircraft can be visited from inside, but all can be seen from very close. What to think about standing just 1 meter away from the fearsome Sukhoi SU-35, Russia’s heaviest fighter jet? Expat Club members had this unique chance in 2013, only a few hours before Russia’s top pilot gave an awesome flight demonstration in exactly that plane (see video). Or what about coming up close with legendary planes like the Lockheed P-38 Lightning, a DC-3 or one of two remaining flying Super Constellations, as shown on this video. What beautiful airplanes! Against the backdrop of the famous Air & Space Museum, which boasts an incredibly impressive collection of planes, helicopters and rockets (incl. 2 Concordes), you will not believe what you can see during this day. Besides the static display of aircraft, helicopters and other flying objects (only identified ones), the real reason to come to the Paris Air Show is the actual show! In the afternoon, the public will be treated to fantastic flight demonstrations. Come up close with an Airbus 380. Stand right under its tail and wings and see for yourself how massive this bird really is. During the Paris Air Show a demonstration is given with the A380. Without passengers of course! The line-up will be spectacular and may include airplanes such as the Airbus 350 and 380, the Boeing 787 and 747-800, the Mirage en Delta fighter jets, the Super Constellation and a range of other aircrafts, including very old planes and of course famous stunt teams such as the Patrouille Acrobatique de France. The Patrouille de France will give an amazing show. Our group will enjoy the show from reserved and numbered seats on the Grand Stands! These seats are optional, but very highly recommended. It’s a long day and you do want to sit down at some point. Also we all sit together, and this is a great and fun way of getting to know your fellow travellers. Finally, it simply gives you the best possible views over the runway as we arranged seats on the top rows! Note that these seats ARE LIMITED. The air show is at Le Bourget airport, Europe’s busiest business aviation airport with 55,000 air movements per year. It is located on the West side of the A1 highway (Lille – Paris) and has three runways. It is the famous landing site of Charles Lindbergh after he crossed the Atlantic Ocean solo in 1927. Le Bourget is also host to the magnificent Musée de l’Air et de l’Espace. This museum is one of the oldest and best aviation museums in the world. 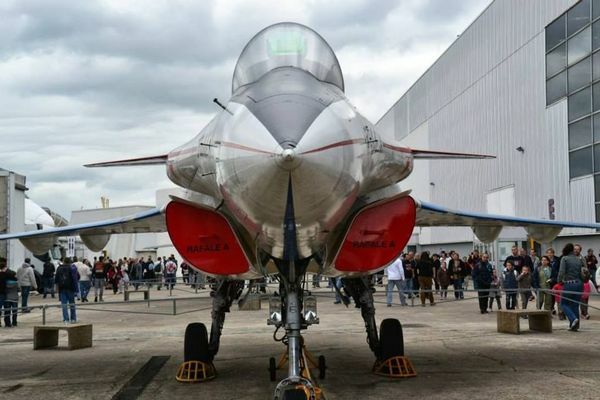 It has 150 aircraft on display, including 2 Concordes, a Boeing 747, old fighter jets and helicopters, as well as several rockets. Your ticket to the Paris Air Shows includes entrance to the museum (normally about €10).